Wind has the power to ruin a lot of things. It can ruin your good hair day, it can ruin your umbrella and leave you soaked with cold rainwater, it can ruin your golf shot and it can ruin your... oh, ouch, it can definitely ruin your police car. 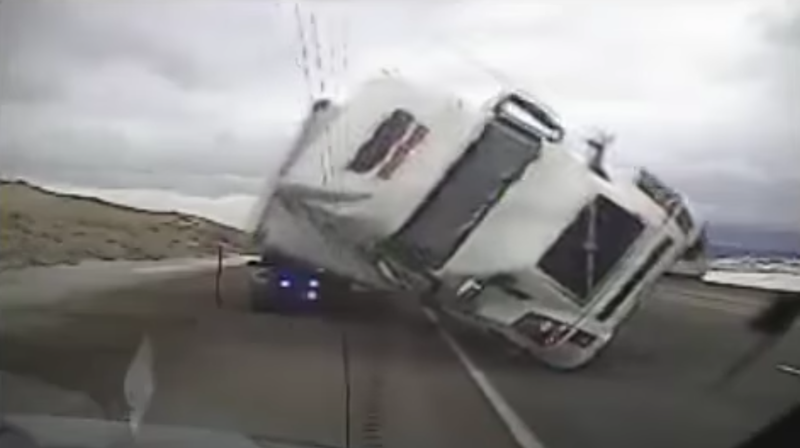 The above footage came from a patrol vehicle parked in front of the pancaked one, and CBS News reports that no one was inside of the police car at the time the wind toppled the semi truck over. 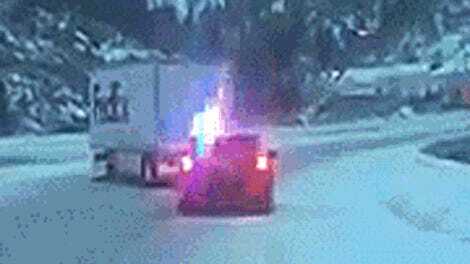 Neither the driver of the truck nor a passenger were hurt, according to CBS News. 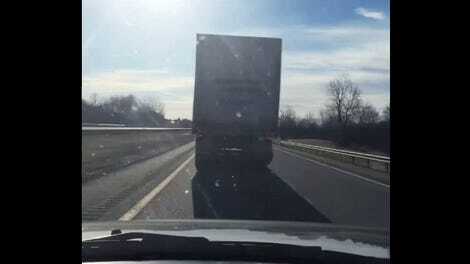 CBS News reports that because of the high winds, the interstate was closed to lightweight, high-profile vehicles—in other words, semi trucks with light trailers that can easily start rolling in heavy winds—and that the truck driver got a citation for driving on it. Heed the road warnings, friends, and stay away from semi trucks in the wind.